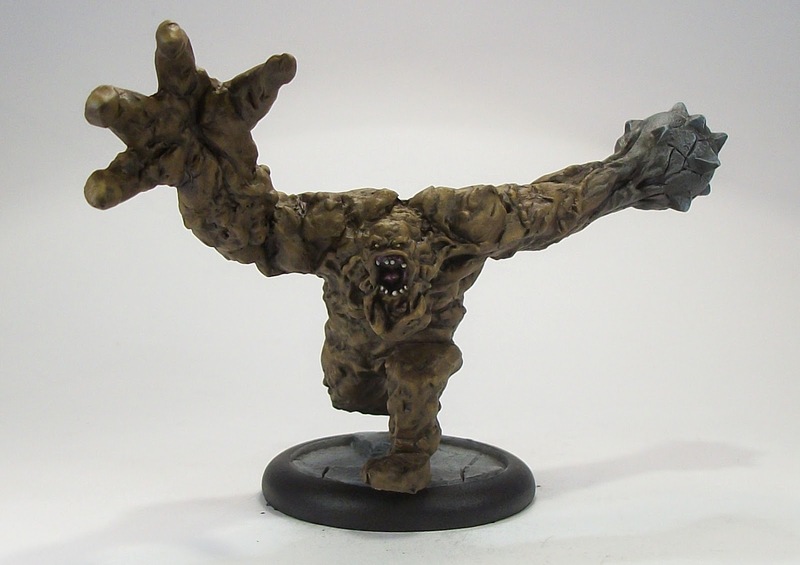 Clayface is my second Batman Miniatures Game model completed, and right now I am just painting what I feel like for the game rather than having a view to what I may play with. My main reason is that not yet having played the game, and not yet having a physical rule-book to dive into, I will just build up a small collection of models over the next year or so and see where my painting takes me. That may make me sound like a Luddite, but I honestly prefer physical hard-copy rule-books to electronic versions, and if I am going to invest my time to game with something, I want to have that in hard-copy. That's just the way I roll, as 'the kids' might say. If Knight Models release hard copy core rules I will buy them; until then I am not too sure that I will game with the minis. So no BMG gaming imminently on the horizon for me, but as I said I will continue to add more characters to my personal line-up. 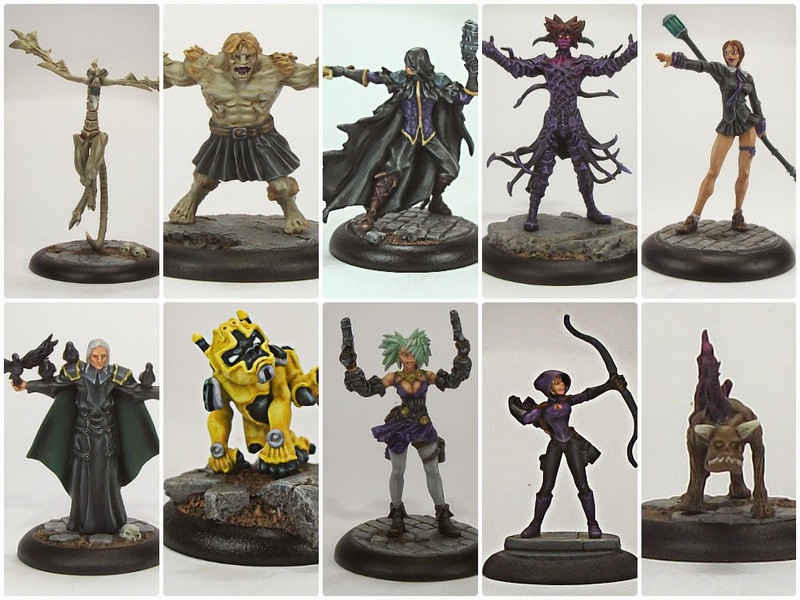 Right now I have over 30 more BMG/DC Universe/Marvel Universe minis to paint from the Knight Models ranges, so plenty to work on, and inevitably a long-term project. On the mini itself, let me say that it is a big chunk of metal. 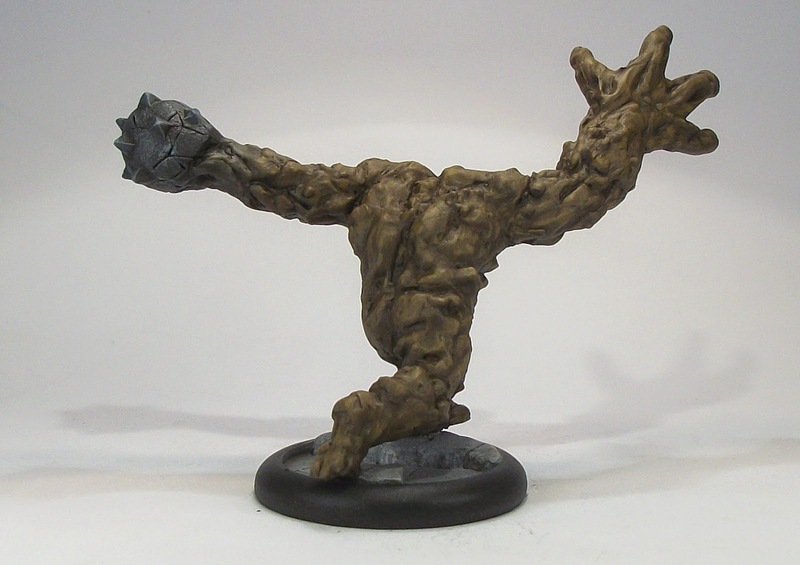 While the pricing for the human-size minis for the BMG/DC Universe/Marvel Universe lines is relatively high compared to other skirmish games, I think the big pieces are excellent value given their size, bulk, and weight. Pain in the backside to photograph though! The metal for this felt better (in other words less soft) when prepping the mini than for the earlier sculpts I have got ready for painting, which is a good thing. The base supplied was a 40 mm which I think was silly. I have kept the model to a 40 mm base simply because I don't want to fudge the game rules for it, but with the mini design, a 50 mm base would have been preferable, because the mini has a tendency to tip towards that outstretched hand. There have been a few minis recently that I feel companies have supplied with 'too small' official bases. Of course I can base them how I like, but as a gamer, I want the bases to be 'game legal' so it is something that bugs me. To my mind, it is about the space the mini occupies on the tabletop; if the bulk of a model so substantively overhangs a base to make getting other models into contact tricky, or if the model is not naturally stable on the base size supplied, then I feel it probably needs to be on a bigger base. On another note, astute observers may have spotted that I have added 'pages' for the few skirmish games that this blog covers, so just to highlight little bit more redesign may occur in the next few weeks and months. This was something I did last year, so I can see no reason not to do so again, since I feel it helped me get more models done than the year before. The summary represents my painting across all three of my minis blogs. While I don't expect to exceed last year's total, I still think it can help motivate me, so here we go with the first quarterly summary for 2014. In January and March combined, I managed 10 minis; February saw no painting at all. Scott Pyle has launched his Kickstarter project for Supersystem 4th edition, which can be found by clicking he graphic.